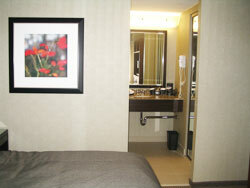 Our organization holds experience in offering reliable installation services for Gypsum Partitions. 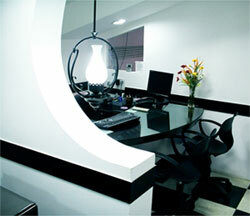 These services cater to the numerous requirements of work places, homes and showrooms. Whether you’re looking to add an en-suite to your master bedroom or create a new office space at work, Classy Green Technical Services can provide you with the perfect solution. Partition walls can separate off any areas in the home or work environment but it is important to make sure you select the right tools for the job. 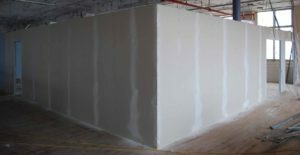 By hiring a professional company to complete the work, you are ensuring the installation of your drywall partition will include only the best materials sourced for your needs. 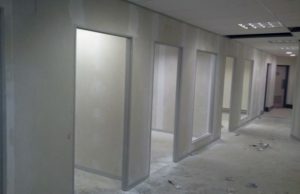 When it comes to partitioning off an area for an office, your first thought should be of functionality. Whether you’re looking to create a home office or a new room in your workplace, an office partition wall allows you to create the perfect space to spend those working hours. The most important consideration with an office or warehouse partition is functionality. Whether you need to block out the sound of heavy machinery or proof against the possibility of fire, there are a wide variety of different walls available for you to choose from. Combined with a false ceiling, you can block out every sound from the workshop, allowing you to complete your paperwork in peace. In your home, there may come a time when you need an extra bedroom or you want to create an en-suite bathroom for that extra luxury. In this case, here at Classy Green, we can offer high quality partition walls throughout Dubai UAE that are fit for any purpose. From fire rated partitions to waterproofed areas perfect for that new shower room, a partition is a great option when it comes to refreshing your living space. Why not create a separate dining room through a simple partition wall or turn your simple studio into a 2 room flat.